Character animation involves more than the principles of animation and the mechanics of motion. Unique, believeable characters that think, feel and captivate your audience are ones that involve emotion, performance, personality, acting and story. Successful animators balance all of these elements within a single character and narrative. With Acting and Performance for Animation, discover how to create dynamic, dramatic performances and believeable character interaction. 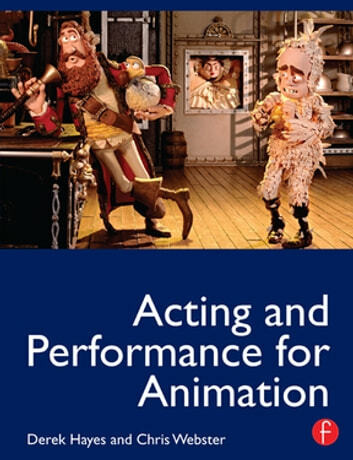 An invaluable resource for animators, Acting and Performance for Animators is a practical guide to the variety of performance techniques relevant to animators. Develop believable character interactions with chapters detailing the principles of performance, performance types, character emotion and personality, physical and psychological performance, and scene composition. Analyze scripts, sound,acting, action and performance with the practical hints and tips, hands-on assignments and animated examples featured in an extensive guide for animators working in film, TV, games and commercials. 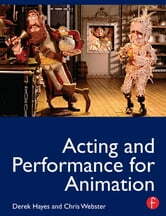 Explore different performance techniques based upon the experiences of seasoned animators with case studies featuring John Lasseter, Ray Harryhausen, Nick Park, Joanna Quinn. Expand your own performance techniques with the accompanying DVD which will feature live action reference shorts, production stills, animated examples, and further hands-on assignments.